I’m a guest blogger over at Ananda Shala today–check out my reflections on a weekend of yoga teacher training by clicking here. I’ll tell you a story today. I’ve only told a couple other people this particular one, because I feel self-conscious when I try to explain. Some things are harder to put into words than others. I don’t really remember how old I was when it happened. I was little, probably under age 10. The television was on, and a commercial began to run. I think it was for jeans, of all things. The part that struck me was the music. It was a version of ‘this little light of mine,’ a rendition that began with the refrain whispered, then grew in volume and enthusiasm. It was well done–inspiring, empowering. And it made something click inside my head. I started to pray. To beg with all my will to the big, nebulous idea of God I had at the time, to make me a bearer of light. I swore that I would do whatever I was asked, whatever was needed, if I could just carry light. I would do anything. I would serve that light forever. Maybe I made that promise into air and nothingness. Maybe I made it to my higher self. Or maybe some One heard me, and answered. I’m human, of course. Flawed as we all are. But I have tried my best to keep my word. When I was a teenager, I wrote rituals for our little group of Pagan teens. When I was in the military, one of my nicknames was Mother Goose. If someone was having a meltdown in the middle of the night, I was the one that the Duty came and woke up. As a musician, my lyrics carry messages. Most of them are some form of ‘wake UP, the world needs you.’ I taught Paganism for years. I’ve run festivals for the community. I’m now in school to teach yoga. The light, you see. However I find it, I try to serve it. It also lives within me. In a very real way, the Gods kept their promise, too. My sense of connection to the Powers is a feeling of a light glowing inside my chest. Some of my friends see more than just the physical surface of things, and they can gauge my mood based on how brightly that light is shining. And perhaps that’s why Imbolc is my favorite holiday of the year. It is a celebration of light – the time when we really, truly begin to feel the return of the sun. The very first stirrings of the coming spring can be found, and we notice that the days are a little longer than they were. Imbolc is a time of purification. It’s the deep breath before we sing, the tilled earth before we plant. It’s a time to plan, to dream, to prepare. It’s a time to cultivate our connection. To strengthen ourselves for the warm time of the year, when our energy will be going in myriad directions, often at breakneck pace. Imbolc is also sacred to the Goddess Brigid. In a simple definition, she’s the goddess of Healing, Smithcraft and the Arts. She is a source of light, particularly in the midst of darkness. Some of her devotees keep a lamp always lit in her honor (the Sacred Flame of St Brigid in Kildare, Ireland, is often the origination point–St Brigid and the Goddess Brigid long ago merged together in myth). In a very real way, Brigid *is* the light. In years past, I ran a Pagan music festival called Brigid’s Faire–a burst of light, sound, art and warmth in the midst of winter. More than any other named Goddess, I serve Brigid. 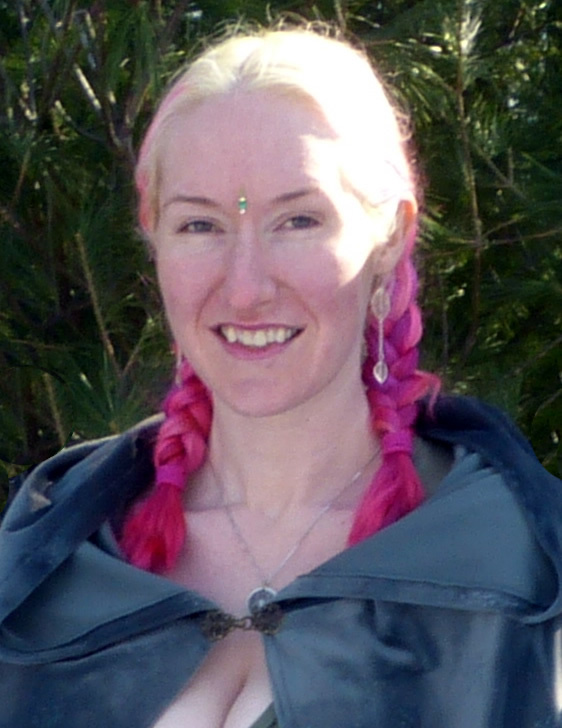 Between Yule and Imbolc, I braid my hair every day and wear a pendant with a picture of Brigid on it. The braids are an offering, an observance. A time every morning when I remember the light within me, what it means, and what I promised in that long ago prayer. As ever, I strive to serve the light. I keep the oath I swore. I wish you joy and light this Imbolc. I wish you love and purification. I wish you peace and blessings. And if all goes according to plan, I’ll be giving you a gift fashioned of light and life tomorrow.